DREAM THEATER, SIGNATURE LICKS. CD TAB. 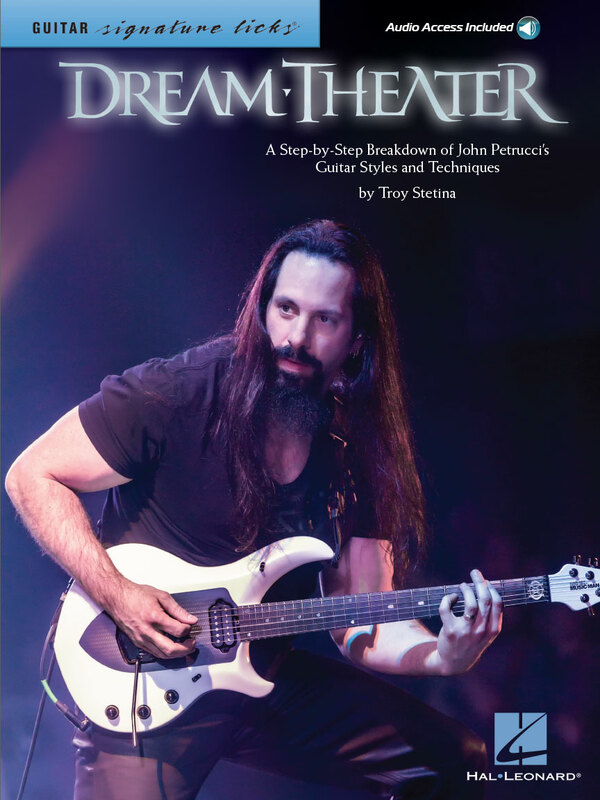 Learn the exact styles and techniques John Petrucci used on 12 Dream Theater songs with step-by-step breakdowns by Troy Stetina. Songs: Behind the Veil • Breaking All Illusions • The Count of Tuscany • Endless Sacrifice • Erotomania • Fatal Tragedy • The Glass Prison • Home • In the Presence of Enemies – Part 1 • On the Backs of Angels • Pull Me Under • Under a Glass Moon. Includes online access to full band audio demos at normal and slow speeds for download or streaming. 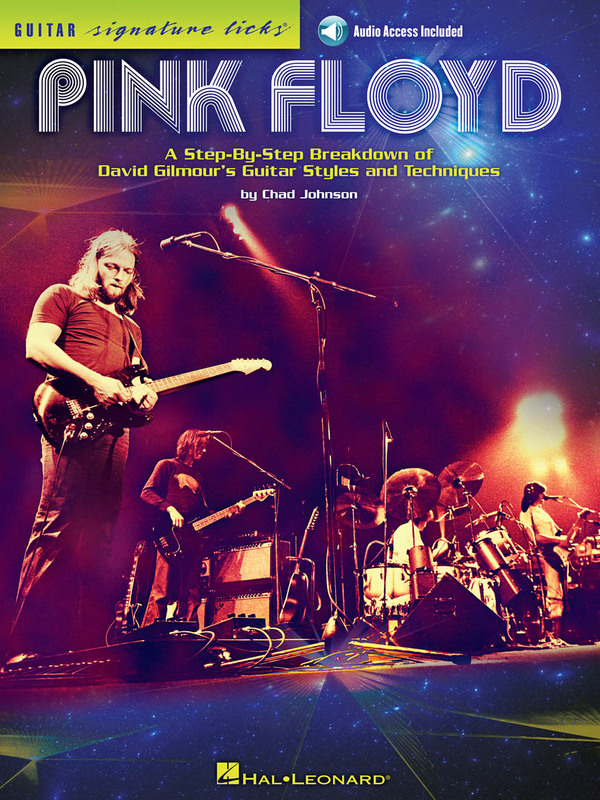 Explore the epic works of space rock pioneers Pink Floyd with this instructional book. You'll learn the details behind the songs “Another Brick in the Wall, Part 2,” “Comfortably Numb,” “Hey You,” “Wish You Were Here,” and more classics. Audio files for all examples are available for online streaming or download with the custom code in each book. SLASH, GUITAR SIGNATURE LICKS. SHEET MUSIC BOOK WITH CD & GUITAR TABLATURE. LIBRO DI MUSICA ROCK, CON CD. 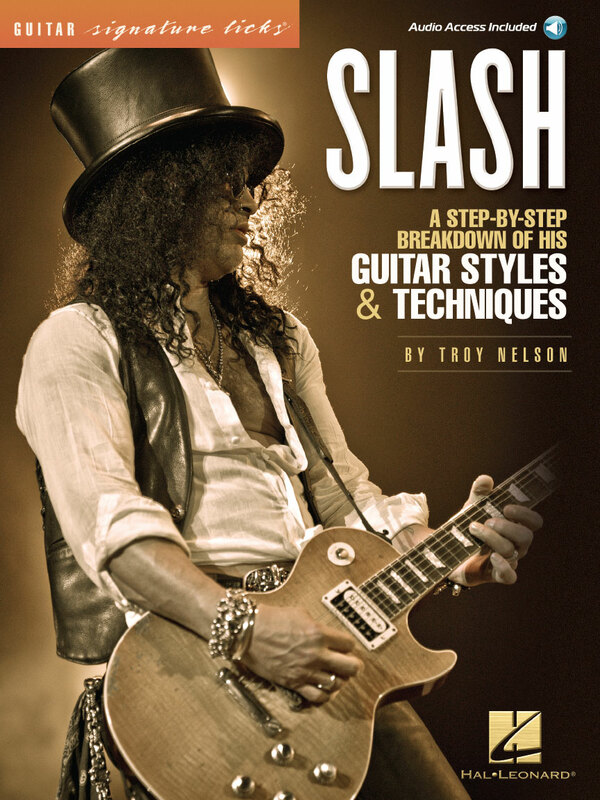 Learn the exact styles and techniques Slash used in hits with Guns N' Roses, Velvet Revolver, and more with step-by-step breakdowns by Troy Nelson. Songs include: Anastasia • Beggars and Hangers On • By the Sword • Estranged • The Godfather (Love Theme) • Mr. Brownstone • November Rain • Paradise City • She Builds Quick Machines • Slither • Sweet Child O' Mine • You Could Be Mine. Includes online access to full band audio demos at normal and slow speeds for download or streaming. VAN HALEN SIGNATURE LICKS. CD TAB. LIBRO METODO DI MUSICA HEAVY METAL CON CD. 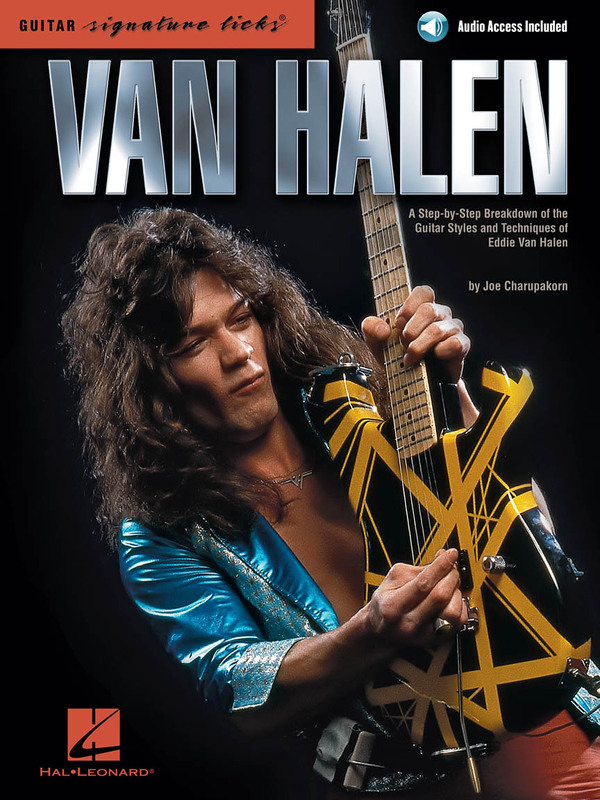 Learn the exact styles and techniques Eddie Van Halen used on 17 Van Halen classics with step-by-step breakdowns by Joe Charupakorn. Songs include: Ain't Talkin' 'Bout Love • And the Cradle Will Rock... • Beautiful Girls • Best of Both Worlds • Black and Blue • Cathedral • Dreams • Eruption • Finish What Ya Started • Hot for Teacher • Jamie's Cryin' • Jump • Mean Street • Panama • Right Now • Runnin' with the Devil • Unchained. Includes online access to full band audio demos at normal and slow speeds for download or streaming. LIBRO DI MUSICA ROCK PROGRESSIVE CON CD. 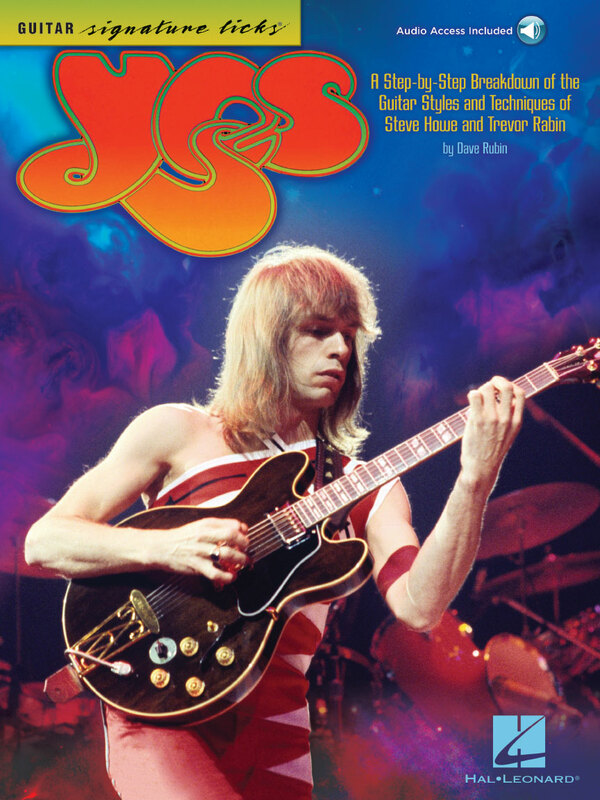 Explore and learn the riffs and solos of these prog-rock masters! This book explores 12 songs: Clap • Close to the Edge • Going for the One • I've Seen All Good People • Long Distance Run Around • Love Will Find a Way • Mood for a Day • Owner of a Lonely Heart • Roundabout • Siberian Khatru • Starship Trooper • Yours Is No Disgrace. Includes notes and tab and demo tracks on the CD. LIBRO DI MUSICA ROCK BLUES, CON CD. This exclusive book/audio pack features in-depth analysis of the songs and solos that made Roy Buchanan “The Best Unknown Guitarist in the World.” Though he never achieved stardom, Rolling Stone magazine ranked him #57 on their list of the 100 Greatest Guitarists of All Time. With this pack, you'll learn 12 of his best licks, including: After Hours • Chicago Smokeshop • Five String Blues • Hey Joe • High Wire • I Won't Tell You No Lies • The Messiah Will Come Again • Pete's Blues • Peter Gunn • Roy's Bluz • Short Fuse • Sweet Dreams. Explore the creative and diverse guitar styles of legendary singer-songwriter Neil Young in this exclusive book/CD pack. Featuring songs from his Greatest Hits album, this pack includes detailed transcriptions, in-depth analyses, gear discussion, photos and historical information on the life and times of a true music innovator. 16 songs: After the Gold Rush • Cinnamon Girl • Comes a Time • Cowgirl in the Sand • Down by the River • Harvest Moon • Heart of Gold • Helpless • Hey Hey, My My (Into the Black) • Like a Hurricane • The Needle and the Damage Done • Ohio • Old Man • Only Love Can Break Your Heart • Rockin' in the Free World • Southern Man. Explore the boundless creativity and triple-guitar brilliance of Radiohead with this book/CD pack. 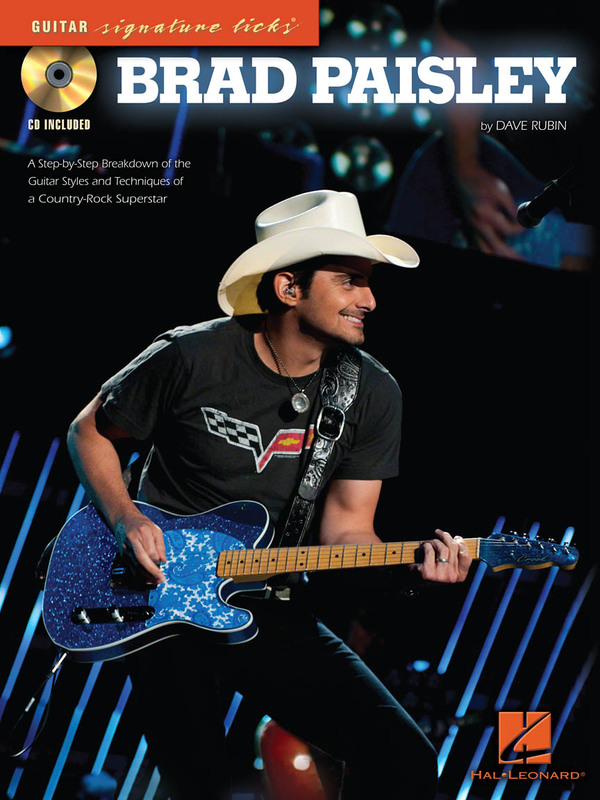 The author explores 12 of their songs and teaches you the essential things you need to know to play it just like the band does. Songs include: Airbag • Bodysnatchers • Creep • Go to Sleep • Just • Let Down • Little by Little • My Iron Lung • Optimistic • Paranoid Android • Subterranean Homesick Alien • 2 + 2 = 5. AC/DC, GUITAR SIGNATURE LICKS. 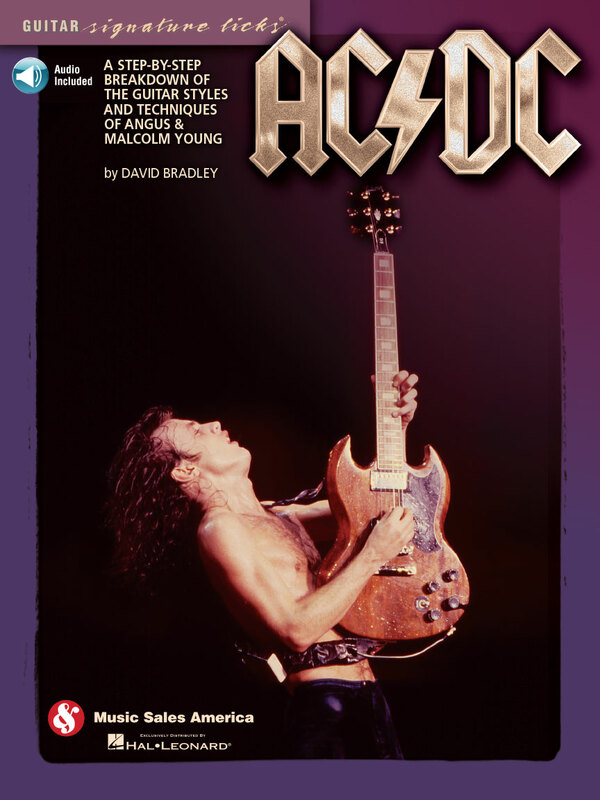 A STEP-BY-STEP BREAKDOWN OF THE GUITAR STYLES AND TECHNIQUES OF ANGUS & MALCOLM YOUNG. SHEET MUSIC BOOK WITH CD & GUITAR TABLATURE. LIBRO METODO DI MUSICA METAL CON CD. LIBRO DI MUSICA COUNTRY ROCK CON CD.